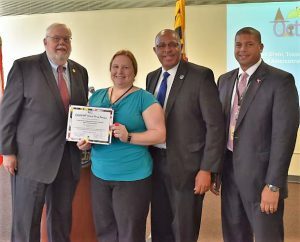 Cristen Ervin, Training and Business Outreach Coordinator in the Administration Division, is one of those employees who can be counted on with one hundred percent certainty to complete their duties. The results of her dedication, hard work and creative talents are on display at every conference around the state in which DGS has a role. From the large ones, like the Maryland Municipal League and Maryland Association of Counties annual conferences, to DGS’s smaller business outreach events across the state, which she organizes and manages, Cristen is putting a courteous, knowledgeable and professional face to DGS. Cristen is our ‘go-to’ colleague who takes the lead in coordinating everything from DGS handouts and brochures on the vast variety of the agency’s responsibilities to the agency’s exhibit table at conferences where DGS has a presence. In early October, DGS again co-hosted the 4th Annual Business Opportunities and Entrepreneurial Training Summit. Cristen played a central role in coordinating and organizing DGS speakers for the event, including their presentations. If it’s a planning committee, Cristen is on it. 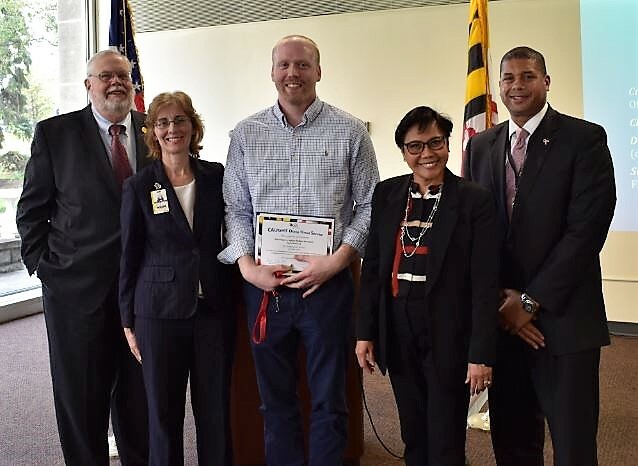 From the Employee Appreciation event in the spring to the Maryland Charity Campaign in the fall and the Holiday Celebration in the winter, Cristen plays a big role in their success. And those fliers you receive about these events? They are also Cristen’s handiwork. 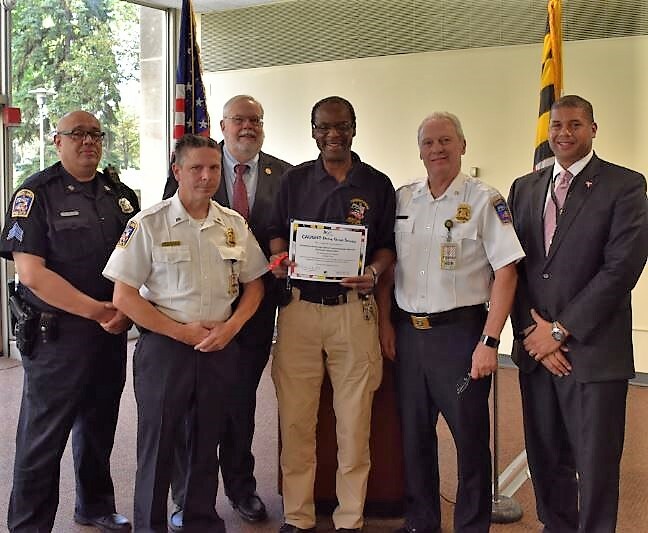 Police Communications Operator Christopher Henderson has been with MCP for 25 years. He is a dedicated employee and is always positive and professional. He comes to work every day with a lightheartedness that is catching. PCO Henderson is the ‘go-to person’ for information regarding the Baltimore Detachment. He willingly assists when needed for overtime details due to weather or other emergencies. His patience on the radio during stressful, confusing situations is a credit to DGS. 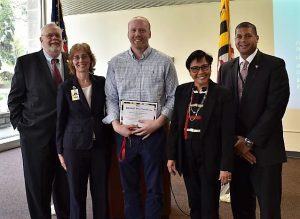 He has received numerous compliments from state employees and coworkers on his polite and courteous demeanor. 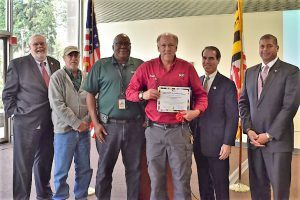 Duane Lucas, Maintenance Chief IV (Chief Grounds Keeper), has been with FOM Baltimore for 34 years. When you look around State Center and appreciate the cleanliness and well-kept grounds, think of Duane. For as long as he’s been with DGS, he has put his all into keeping the place looking great. The proof is in the beautiful courtyard garden and the eight acres of lawn he cares for year after year. Duane personally chooses the flowers and, with his small team, had plants all of the flowers and gardens around State Center. They mow the lawns in the summer and rake the leaves in the fall. And during winter, Duane heads up the snow removal team that ensures the grounds are cleared and safe for all state employees and visitors. With the merger of the Inner Harbor Complex with Baltimore Public Buildings and Grounds, Duane has added the Hilton Heights Community Center to his portfolio. He now takes cares of the 1.5 acres of trees, shrubs and grass there. Duane also takes care of all the lawn equipment and snow removal equipment at State Center. From tractors to lawn mowers, he keeps them running and looking good. 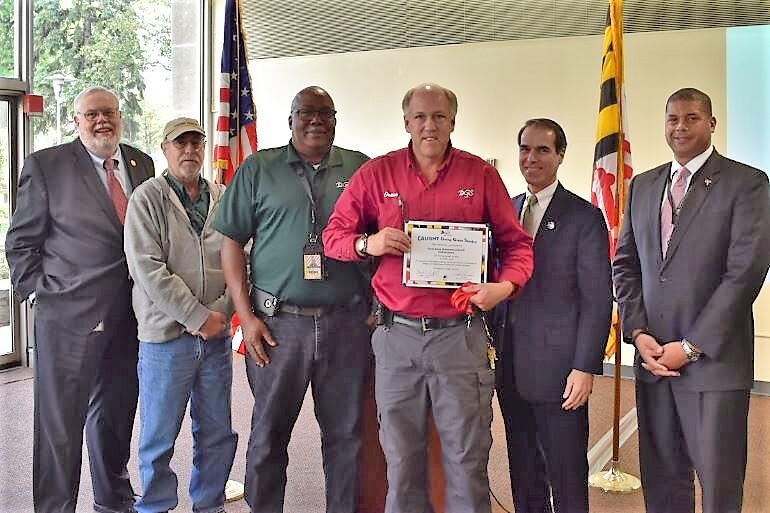 He recently assisted with the purchase of an ATV (all-terrain vehicle) vacuum truck that his team uses to help keep State Center spotless. Sam Ruppert started working for DGS as an intern in the Fiscal Services Division. After interning, he accepted an opening in the Budget Unit as a budget specialist. During the past seven years, he has proven to be a quick learner and dedicated employee. He has grown in his job, mastering contract services history and funding as he reviews fund certifications and approves purchase orders. Sam assists in developing budget projections every quarter and putting together the annual budget submission. This year’s budget submission required working with a new software environment, where Sam took a lead role. In his supervisor’s absence, Sam stepped in twice to rework detailed files, thus enabling a quick turnaround time for DGS.